Over at The Life and Times of Bunnies, Gus shows pictures of his wild cousins. 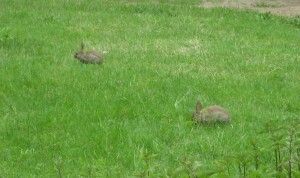 I met some wild bunnies when I was in Berlin, Germany, three weeks ago. Appropriately enough, they lived in Tiergarten, a large park right in the center of Berlin. … and of the other. Nom, nom, nom! This entry was posted on Wednesday, June 16th, 2010 at 8:08 am	and is filed under Bunnies. You can follow any responses to this entry through the RSS 2.0 feed. You can leave a response, or trackback from your own site. 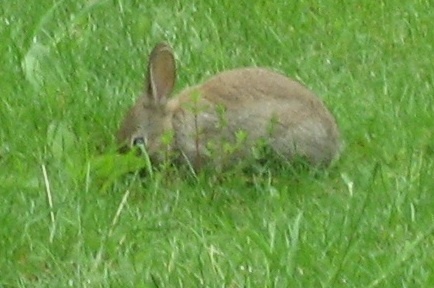 I wish we had wild rabbits where we live, but it is too far north for them. 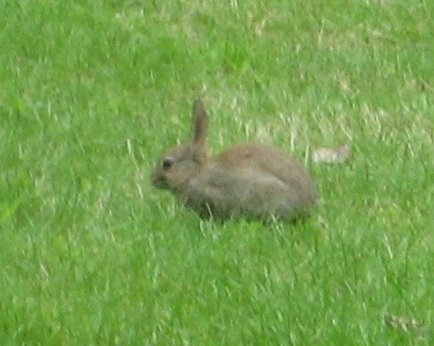 Wild rabbits can only be found in the southernmost parts of Sweden. 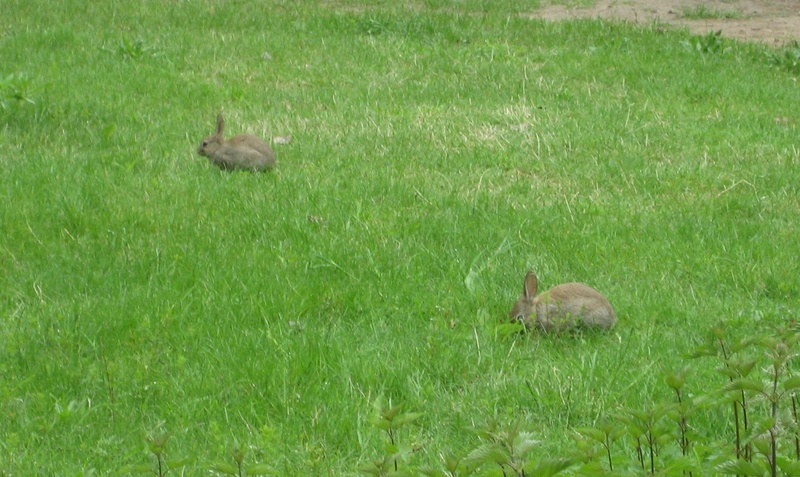 SOme years ago, I used to work in the county Blekinge in the south of Sweden, and there I could sometimes enjoy the sight of a bunch of wild rabbits eating the grass or frolicking about, usually in the morning or evening. I am happy for the little fellows that they do not have to endure our cold winters, but I would love to live where wild bunnies live. AWwww .. our little wild german cousins! Having fun. We suppose life is a bit harder for them than for us – but they are FREE!